What can be better than delicious blueberry banana smoothie with a hint of mango?? Right now I am craving this particular beverage. Yesterday, instead of a lunch I had this smoothie and it was very satisfying. Maybe I will make it today again, just love it:) I used my new Ninja Blender single serve option to blend my fruits. It did a very quick job and my fruits were smooth. Fresh or frozen blueberries can be used. I had frozen, but I like to thaw my fruits before blending, but it is up to you what you would like to do. For decoration I had this cute Pink Polka Dots Straws . 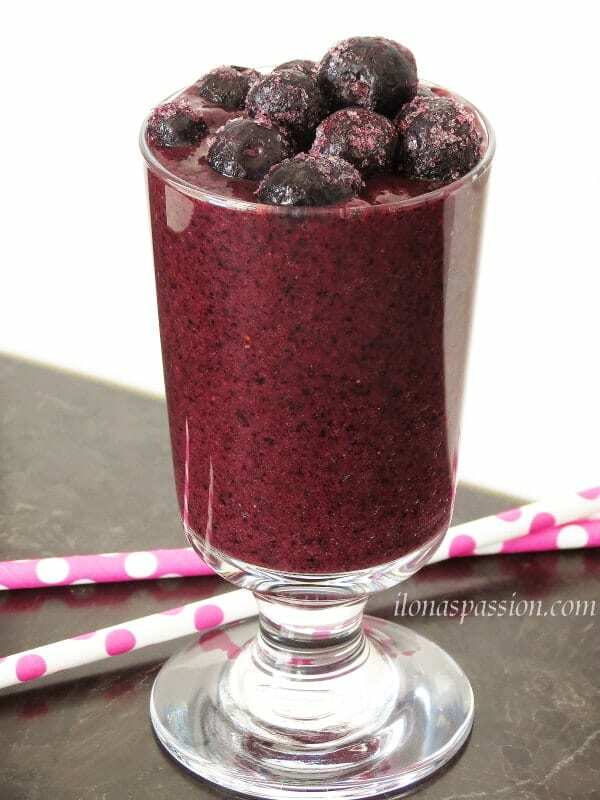 Blend peeled banana, peeled mango and blueberries until smooth. What an absolutely beautiful drink, this is so very healthy and tasty. It took some time to get my kids to switch to real fruit drinks over soda but drinks like this have made it easy. We also use strawberries and raspberries for excellent weight loss in our dieting group. What a pretty colour! I love berry smoothies. Spinach and chia seeds:) I have to try this next time! 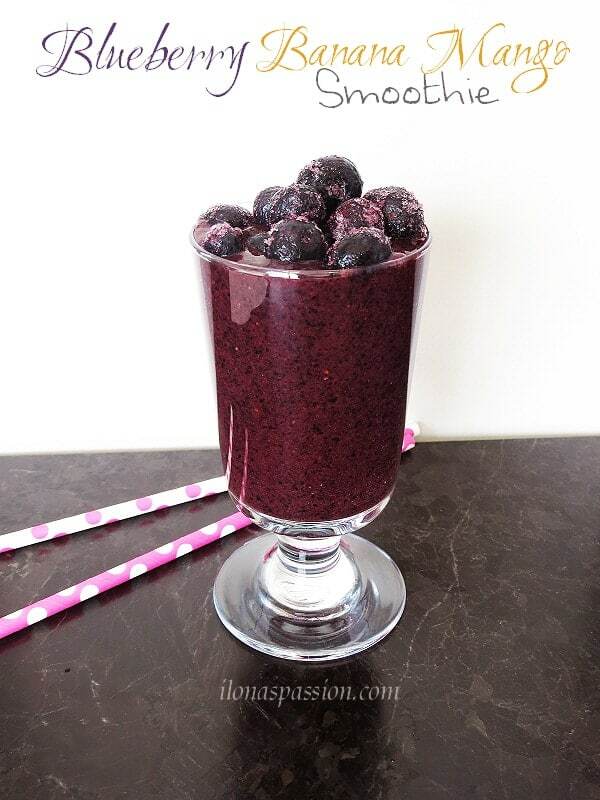 Gorgeous color on this smoothie! Blueberries and mango are some of my favorites to add to smoothies!